The "Roadside Attractions" column in the Santa Maria Times today comments on the increasing number of hoop houses seen along Santa Barbara County highways and byways. 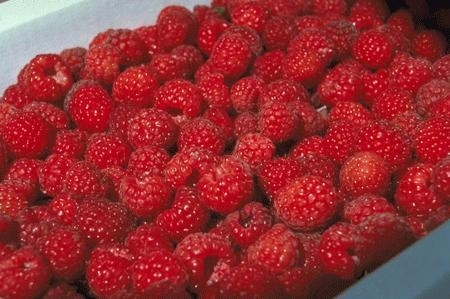 Hoop houses, long white tents also known as tunnels, shelter raspberries, the article said. “There’s been a dramatic increase in berry growing in the county,” said Mark Gaskell, UC Cooperative Extension advisor for San Luis Obispo and Santa Barbara counties. Hoop houses essentially serve as mini-greenhouses. Made of plastic stretched over hoops, they control heat and humidity and shelter plants from wind. Hoop houses help growers regulate the raspberry ripening process so the delicate fruit can reach markets at an opportune time.